I really enjoyed this book…the description was amazing and the cohesion between paragraphs was incredible as questions it didn’t answer then, it would answer later on. Also the story was just genius and I really couldn’t stop reading it. This book was very interesting and adventuring I would recommend it to 6+ and I also wish the book went on and never ended! i like it i think the author is very talented and imaginative. The Firework Maker Lalchand has a great experience of being a firework maker. 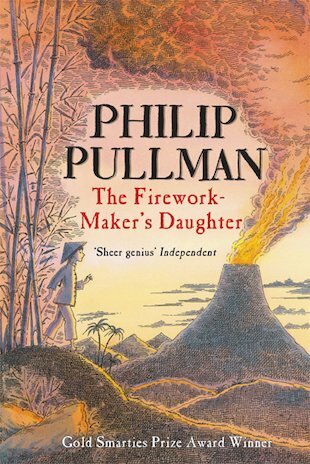 Lila his daughter has always wanted to be a firework maker and her Father won’t let her. She needs the three gifts which are Talent, Courage and Luck. But she didn’t know what they were when she went to see Razvani. She also needed the magic water from the Moon Goddess but luckily Chulak bought to her. Meanwhile Lilas father Lalchand had been locked up in the Kings castle. But if they won the firework display with longest applause he he wouldn’t be killed. But will they beat all of the contestants? Will be continued!!! I really enjoyed this book as it was packed with different emotions and we are also reading this book in school and discussing it in parts in guided reading and to read it by myself seems better than hearing an audio version. It’s better to read the book for yourself as you realize new things rather than having it read to you. I highly recommend that you read this book. It is an amazing book I highly recommend it . I read it at school and did loads of writing about it. It is one of my favourite books. I really enjoyed reading it.